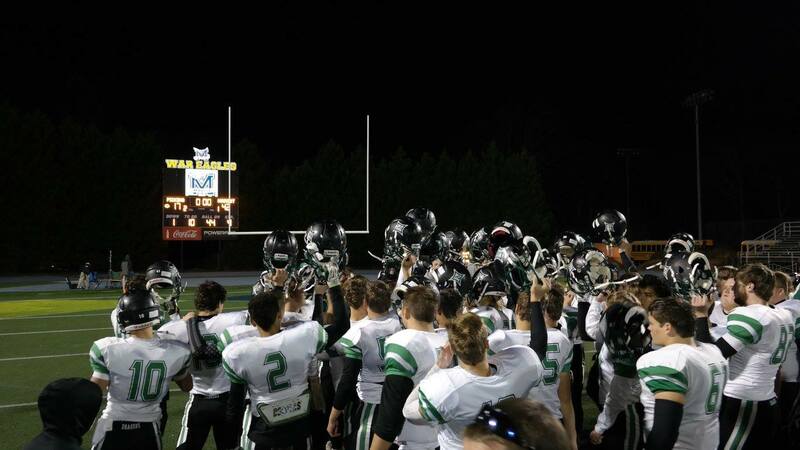 Last night, the Dragons varsity football team played host to the Knights of Johnson-Gainesville in what was the final non-region game for Pickens. This was the 14th time these two schools have met with the Dragons leading the all-time series, 7-6 and winners of three straight. Prior to kickoff, Tucker Green and Sydney Romine would be named Mr. & Miss PHS. Pickens won the toss but elected to differ to the 2nd half, giving the Knights the ball to begin the game. Both teams struggled offensively as both defenses played well in the 1st quarter. A Ty Chastain 36-yard field goal proved to be the only points scored in the opening frame as the Dragons took a 3-0 lead into the 2nd quarter. Much like the 1st quarter, defense was the story in the 2nd quarter. With 37 seconds left in the 1st half, Marcus Byrd found the end zone with a 20-yd run stretching the Pickens lead to 10-0 over the Knights as we headed to the break. The Dragons got the first crack in the 2nd half, looking for more points. 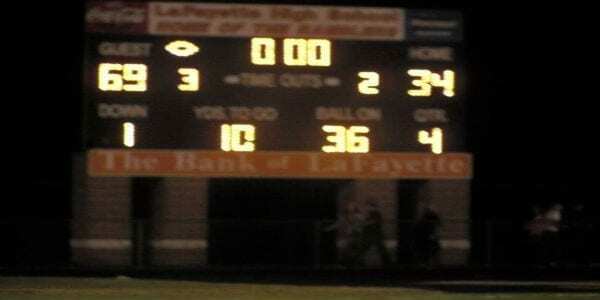 However, the Knights defense played tough and held the Pickens offense scoreless. At the 4:46 mark in the 3rd, Chris Pittman was able to bust through past the defense on the 1 yard line giving the Dragons a 17-0 advantage. 1:22 later, Darian Bunch scampered 73 yards for the touchdown cutting the Dragon lead to 17-7 with 3:24 to go in the 3rd. As the 3rd quarter came to a close, Pickens had the ball moving looking to punch it in. Just 6 seconds into the 4th, C. Pittman got in for his 2nd score after a 6-yd run to the left side to make it 24-7 Dragons with 11:56 left in the ball game. The Knights would not go quietly however as Cody Long found pay dirt from 9-yds out cutting it to 24-14 with 5:03 left in the game. The defense for Pickens stepped up when it had to and the offense ran out the clock giving the Dragons a 24-14 win, moving them to 3-0 on the season. The Dragons collected 17 first downs, were 4/13 on third down, and 2/5 on 4th down. Pickens racked up a total of 376 yards on 67 plays, 271 on the ground and 105 through the air. Defensively the Dragons were able to recover two fumbles and had two sacks. 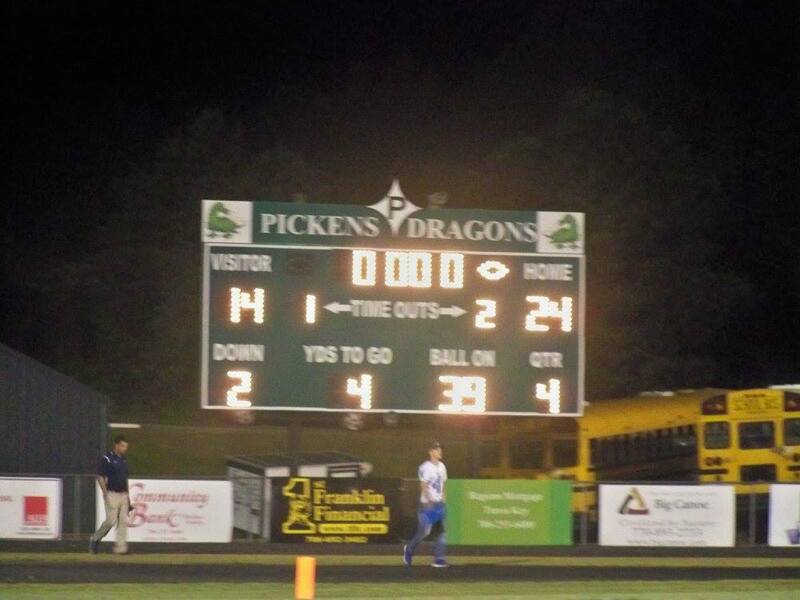 Pickens finishes the non-region portion of their schedule at 3-0 with the 2nd season set to begin next week. The Dragons will be on a 3-week road trip to start region play with the 1st game being at Ridgeland on the 25th. 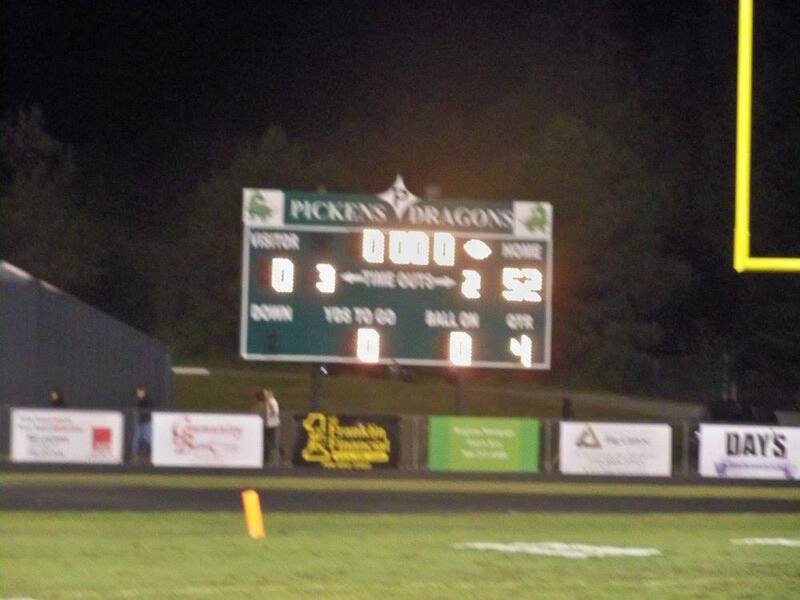 The Pickens High School Dragons football team traveled to LaFayette High School to take on the Ramblers. 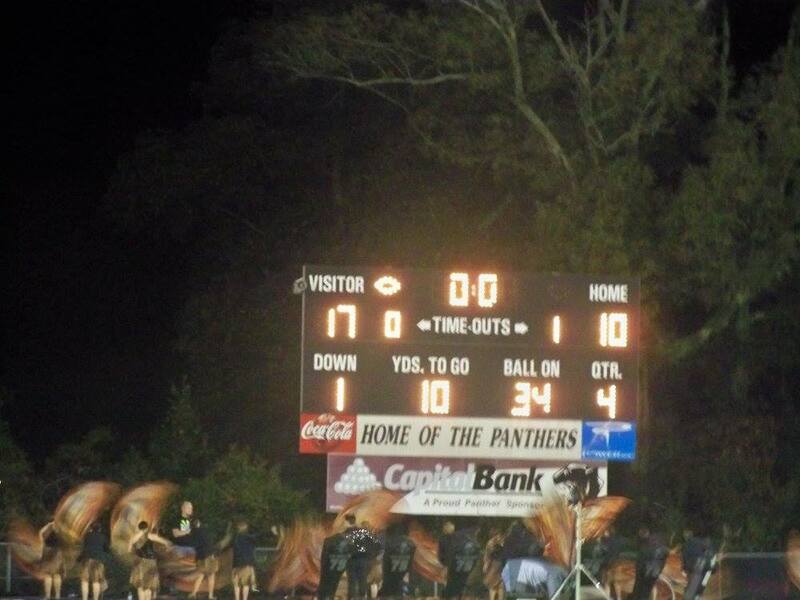 This game was the first road game for Pickens since September 19th. It was also be the first meeting between the two teams. LaFayette’s Homecoming would serve as the backdrop for this game; however, the celebration was short lived as the Dragons’ offense roasted the Ramblers to the tune of 69 points, en route Pickens picking up the 69-34 win.